You mean full two-way radio communication or radios in general? Because commander radios plus wingmen with receivers were present in part of the fleet since 1940-1941, but full two-way radio communication took a while. EDIT: Sokol's answer is likely to be more accurate than mine. I'm thinking two-way radios, similar to the German ones. Also, were they capable of receiving transmissions from ground control? A lot of references note that soviet air missions were inflexible, and I'm wondering if that is why. We're radios a significant component of Lend/Lease deliveries I wonder, or were they mostly produced locally? The radios were British and American. An interesting tidbit is that some pilots actually preferred to fly inferior lend-lease aircraft because of the radio due to the added co-ordination, because they considered that the tactics coming from that offset any performance loss. RCI radio type-4 (RCI-3 transmitter, receiver RCI-4) transceiver, short-wave, a telephone, simplex, is designed for two-way communication with the ground and between aircraft. installed on I-16, I-15, LaGG-3, La-5, Yak-1, Yak-3, Yak-7, Yak-9, IL-2, Pe-3. Range two-way radio communications between the aircraft of the same type with the radio stations and 15 km; reception range on the plane (at an altitude of 1000 m) ground-based work stations such as AK-11 or the RAF up to 100 km; reception range of aircraft on the ground work stations RCI-4 to 60-70 km; the range of two-way communication with the terrestrial radio-type RSB-F up to 40-50 km. The range of reception on the aircraft depends largely on the quality of metallization, and electrical shielding of the ignition system of the aircraft. Power station is carried out by the aircraft bortseti voltage of + 26 - 10%. The power consumed by the radio station at a voltage of 26: When working at the reception about 80 W (including 25 watt bulbs in the heat of the transmitter) when working on the transfer of approximately 210 W (receiver in the transmit mode is not switched off). RSI-3M1 - HF radio transmitter RSI-4 fighter.
" Then, in accordance with the decision of the GKO number 2359ss from October 1, 1942 introduced a bulletproof windshield. 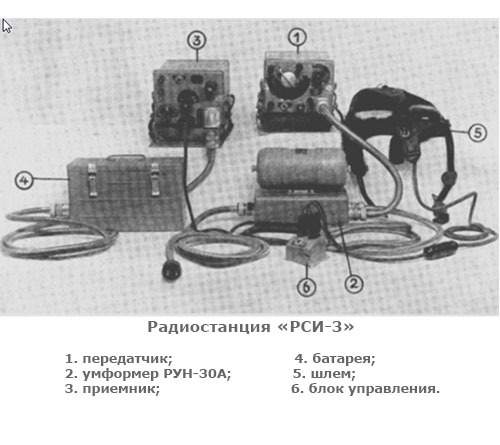 In addition, this document also defines the use of fighter planes "La" and "Yak" red crosshair reticle illumination, button elektro pnevmo puska guns of the type Me-109 instead of tight mechanical gashetok. Order of NCAP number 605s dated August 8 (1942), since 10 August each La-5 was required to establish radio RSI-4, and one in three - and a transmitter and radio compass RPK-10. Although in time (2 days!) could not meet all the business has moved, and Soviet fighter planes began to receive funds navigation and communication." "In addition, RCI-3 had only six fixed frequencies for communication, and RCI -4 - already 90. They can do anything with a 51-aircraft 6 Series every third MiG-3 was produced from radiopere sensor RCI -4. Receivers RCI RCI -3 or -4 equipped with all (!) Serial MiGs. However, the quality of communication on many machines did not matter: because of poor screen-ing of the ignition system of the engine and sloppy metallization plane in the pilot's headphones create permanent tiresome noise, through which it was almost impossible to hear a radio. It came to the point that many pilots simply cut the cords headsets, so they do not interfere with turning his head. Bad call quality negatively affected the loss of Soviet fighters during the initial period of the war. But were largely to blame and operators: many engineers combat units could not properly adjust the radio (!). From what it sounds like above, it was poor shielding that made it difficult to hear anything.  On Massimo Tessitori's website there are a couple of very good pilot interviews that show some varied experiences with fighter radio equipment. Some outright complain about it jumping frequencies and most sounds being inaudible through it, while one pilot said their regiment's radio technician made the equipment work like a charm and without any of the well-known troubles and another pilot from his regiment also registered no complaints. Curiously, a fourth pilot mentioned that if you set the frequency very accurately most problems would disappear. Since I have a very lousy understanding of aircraft radios (and radio equipment in general), do any of you more knowledgeable chaps know to what extent could a competent radio engineer patch up these problems on the field? Bumping up an post because I had a question: what frequency band did the RCI-4 operate on? 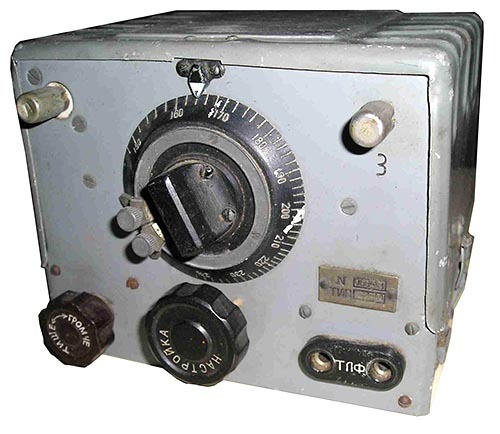 Receiver РСИ-4А 3.75 to 6 MHZ. 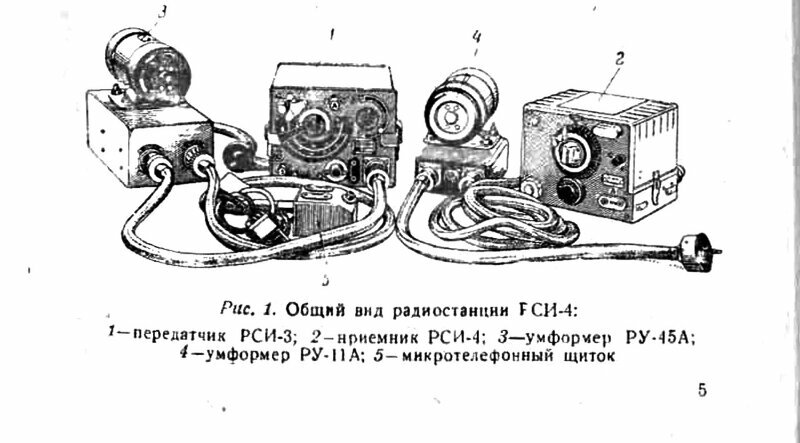 Both form the РСИ-4 (RSI-4A) 'Fighter Radio Station'.